We continue in reiki exploration and investigation, how to get reiki where it belongs and where Mikao Usui likes to see it. We want study and practice reiki system using scientific methods. We want get to know reiki as meditation and medical treatment and clearly indicate where the strength of reiki is. 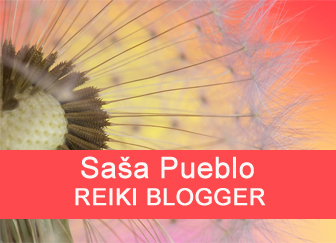 You will find here practical knowledge, proven experience and logic, what and why is done in reiki. We’re going to pay attention to bones and what human bones hide in themselves. And if you want to handle this type of Reiki, then it is necessary to study something about bones at the expertise level. It´s not only about knowledge what bones we have in our body but what they contain at the cellular level. And we must go inside bone cells into their organelles – mitochondria, which in bone cells act as small plants and some are as micro-factories for the production of biological iron and other biological metal elements, but mainly different kinds of biological iron. Of course this is not enough to practice Reiki into bones. It is about a permanent concentration into bones. Thus, there are concentration techniques to the brain and from there successively to each bone. This is a good basis for future practice of reiki bones. We continue to discover bones, what they contain and at what level. We have to know the most about our own bones. Learn to focus directly on the bone and not the idea about bones. Store ideas about the concentration into your bones to your mind. Build in your brain the automatic center for the permanent concentration into your bones by endless repetition of the concentration into bones. It takes many years of daily practise. In your brain imagine elements and directly in the head create ideas of bones and push them directly inside your bones. Go further and begin to take care about the inside of bones and bone cells directly. Again concentration to the level of bone cells, organelle inside of them, proteins, amino acids and elements. Again concentration exercises and in the brain the automat for the penetration into bone cells. And then concentration through other levels in the bone to the level of bone elements. If you want to concentrate on deeper level as the level of elements you already need to have early stages of the clinical death and theoretically quantized physics of particles. You gain the control over this area by concentration exercises, which you force to some possible activities. Currently overall usage of reiki is very fashionable but this wasn´t thoroughly investigated and we would like to change this fact. 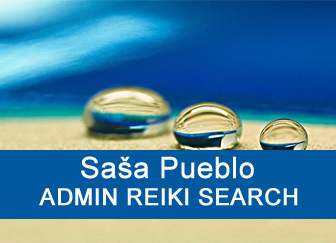 We want to consistently scan efficiency and reiki healing effects. At the beginning reiki in ancient China, Japan and in others was practiced mainly for imperial families and for chosen individuals and this wasn´t the best for Reiki development. Japanese reiki master Mikao Usui finished with this tradition by the consecration of 12 Japanese military doctors who helped in the 1st World War. And these medically educated individuals began to practice Reiki massively and extremely intense. It was the first time when the history changes and reiki becomes a matter for the public. Even today you can get to tombs of Japanese Reiki practitioners and perceive and take their experiences. In the first place they were educated in medicine and received Reiki, which they also practiced. Thus, we could talk about alternative medicine. They developed an extremely effective system to accelerate the healing of soldiers in order to be as fast as possible to get back into the fight. 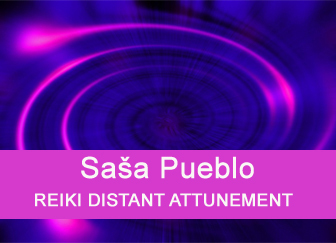 They dedicated less time to the reiki development towards longevity and ongoing vitality. And this is logical. And they probably didn´t keep any studies as they practised Reiki and what were results. Only reports about one of those doctors who left Japan and spread Reiki to the world and especially in America and from there to Europe and around through Hungary to Slovakia. Serious Reiki research and the research of its healing efficiency was never done and probably there were not created any diagnostics for evaluating of reiki healing effects. 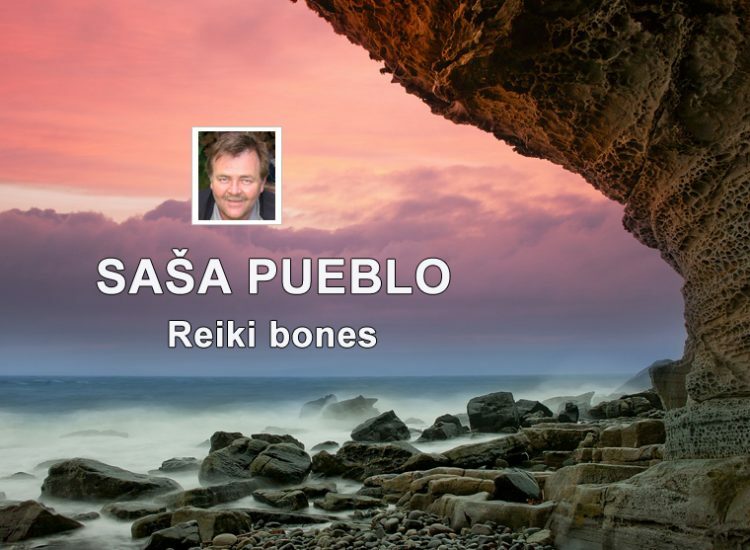 Sasa Pueblo has devoted to the issue of Reiki about 15 years and he is not identified with Reiki as it is practised in the world today. He has simply meditated in that field and gradually practiced Reiki in its investigation. Events dramatically changed at the beginning of 2014. It was decided to develop a system of prophetic Reiki examination and directly to the person who is being treated. 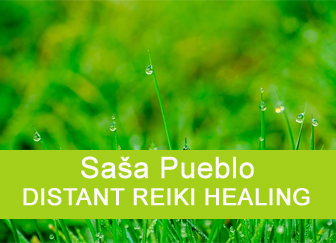 Sasa Pueblo began the treatment of about 60 people with various kinds of diseases. Sick people can know about the treatment or they do not know about the treatment or they learn about the treatment in time when it´s running. All treatments are carried out at a distance and without the physical presence of the person. The actions are evaluated, the efficiency and effectiveness of Reiki treatments are evaluated. Firstly, reiki therapy was focused on something other than now. It is primarily about how to do interventions in the body of a sick person to promote human longevity and performance. And it is the search for everything that can be the benefit for the longevity and the performance. This project of alternative gerontology and it’s old age and aging. In this project, we have discovered that neurons from the embryonic period are not extinct in the human body and after the age of 20 increasingly blocked. But this is not happening for everybody. So Reiki energy helps to awaken all that what remains from embryonic development and it is a period of nine months from the egg fertilization until the moment of the birth. Within the research and the formation and activation of stem cells, reiki energy has been extended to this area. And here we also have some experience and interesting results. Reiki energy could help to form activity of stem cells in the human body that have been awakened and strong. Development of stem cells in the body from the bone marrow. Interesting is the bone marrow from the pelvic bone. Creation of stem cells from inside the bone. Adult stem cells from fat cells in the human body, but also laboratory from the fat. From any of normal adult cells under stress may arise a stem cell. The spleen can change the classic cells to stem cells in the human body. In the human brain are permanent stem cells and young neuronal cells are formed from them. New neuronal cells are formed in the adult, but only few survive. Growth of the human finger after using cells from pig pancreas: Well tested. Spleen sends amino acids to repair muscle cells after micro injury of muscles caused by physical exercises. Drinking of own urine and restoring kidneys and other organs into five years. Interesting is the process in an older body and change dividing cells into permanent cells. Certain neural cells from embryonic period can be also activated in elderly. Awake replacement tissues in organs such as the spleen can save some hormonal glands. From yellow bone marrow can get red bone marrow. In the colon can grow further appendicitis and immune function. Damage of cells by classic viruses, retroviruses and new adult stem cells with the risk of cancer changes in the laboratory. Fat cells are modified and changed to the producers of certain missing substances in the body. Stem cells from amniotic fluid. Stem cells and substances in the urine and the creation of almost something like teeth in the laboratory. Stem cells from umbilical cord blood. Organ transplantation and bone marrow. Reiki hands – this is the chapter by itself and it is semantically important. Special meditations on own hands and hands of healer or embryos. Creating elements from imaginations and dreams in the head and particularly those embryonic are important. Thousands made hands are combined into a rotating disk that is moved to the navel and there are unique embryonic structures that controlled digestion in the fetus. In some adults remain open and in most cases they can be found among marathoners. For example, during the run they remove certain substances such as lactic acid and a person can run a lot more than others. We are much more interested in rotating hands, hands made from elements and ideas at the head. You have a strong Reiki energy to treat yourself or another person who will have similar states. And this is one of Reiki levels. And these rolls can also be used to master Reiki, thus for the consecration of others. In bones are bone cells, bone mitochondria in them as a power plant and the production of bio iron. Mitochondria in bones as a source of bio-energy is the basis of biomagnetic reiki and all bio magnetized iron in the body. It isn´t about to know how to magnetize a piece of metal as Mesmer and made a magnet from it or how to keep metal objects on the body. The point is that biomagnetic iron mainly in red blood cells works together for better blood viscosity and the flow in small coils and veins. A similar effect can also be achieved in the magnetic tunnel, as is practiced in the elderly. Bones and their embryonic neurons, mitochondria, supplies organic iron and its formation play an important role in bioenergy and reiki therapy there may have its benefits and good results. Some are quite familiar with chiropractic when the disc pops up or arm or leg is dislocated. Chiropractors are doctors, but I would rather move to a chiropractor with the private practice who helps at homes with aching spin and joint area, or set bones to cartilage. Chiropractic is the world of bones and their movements, try to visit these professionals and they can transfer to you something like dedication and penetration of your psyche to the source of Reiki energy. Bioenergy is produced in mitochondria and bone mitochondria within cells as micro organelles produce biological iron for the body. And it is clear that where the bioenergy is and bio reserves of iron, there is the possibility of magnetic Reiki bioenergy. Do all you can to have this kind of the magnetic energy in yourself open and know how to open this energy to other people. Many people in the elderly lose the ability to produce bone bio magnetized iron and Reiki here can effectively help. And here we are in diseases and bone destruction and bone disorders. We have to pay attention to all bone diseases as well as disease called old age. Weak bones and too much microcracks. Vitreous bone disease and unique bone disease for penetration into bone is by tuberculosis affected bone system. Reiki person meditates and remotely connects to persons who have extremely damaged bones or bone tissues by any disease. He actively opens the way into his bones by these meditation and also into bones of the treated person. If you have early stages of the clinical death so when you do reiki into bones of another person you connect through tuberculosis bones of sick people and you can penetrate by reiki energy into bones of another person, open them permanently and take advantage of this healing power. It even happened that after a visit of a doctor osteopath the person gets permanent reiki consecration into the bone. 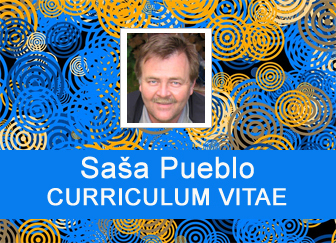 He must be decent freak osteopath and often acts away in small towns or implements a private practice. One of techniques that helps one to better control their movement and thus move the bone. It gives a person into order and learn him to get know his bones and keep them in the right movement, teaching him how to move. Our motion formulas and how we use our bones change with the age and therefore we have to maintain our motion formulas to deep old age. Osteopathy deals with the human body and especially the right way of the movement. Human has right and wrong movements and movement patterns. We gave here this topic due to close relationship with bones. We also meditate on motion formulas in the human movement. Position of bones and cartilage and tendons. Firstly here is the possibility to concentrate on all bones together and in one unit. Every bone and its position affects other bones. Consciously we can perceive bones and their position and change positions and together action. Consciously to move and rewrite the motion formula. People movements might not be right or they may spoil with the age and become risky. Again all kind of meditations are practised in order to penetrate to nerves and bone neurons and bring them under conscious control based on the principle to recognize and penetrate into all that we have in the body. Aminoacids are needed to build the body, they must be established in digestion and 25 are essential aminoacids. Aminoacids are also formed specialized for the muscle diet. Aminoacids are also within the cells, mainly of proteins and these are the basis for cell membranes and different types of organelles within cells. They are simply everywhere and in everything we have in the human body. Even spleen produces aminoacids and when muscles are micro-damaged, aminoacids from the spleen fix them. This can be used in very old age on specific muscle repair through this mechanism. Aminoacids are composed of upper, middle and lower regions. Middle level never changes, but the upper part can change and there will be changes to everything, whether to aging or to some new property practiced in neurons of the body and head. Meditation techniques are similar as described above.